Make your mom proud this Mother's Day by serving up a special spring brunch. This fanciful dish from the Almond Board of California is sure to impress and is so simple to make. Using a blend of fresh berries, cottage cheese, slivered almonds and a touch of honey, the flavours are sure to brighten up her day. In a food processor or blender, process cottage cheese for one minute. Scrape sides of container and process for one minute, or until smooth. Transfer to an airtight container; refrigerate for about 8 hours, or until firm. At serving time, slice strawberries; in a medium bowl, gently combine with other berries. 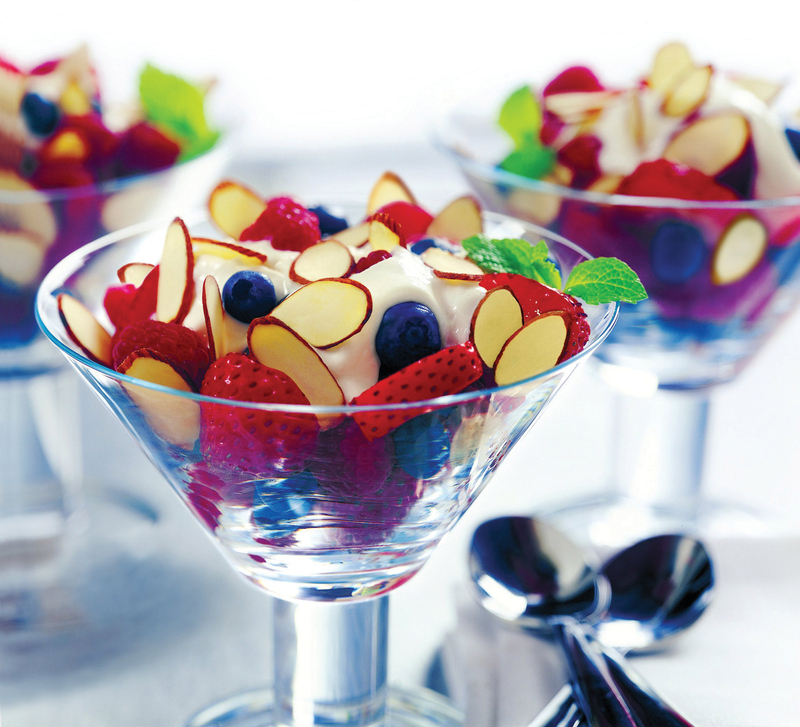 Spoon about 1/3 cup (75 mL) berries into each of 12 individual bowls or goblets. Top each serving with about 2 tbsp (30 mL) cream mixture, then sprinkle each with almonds. More recipes can be found online at almondboard.com.